Italy is one of our favourite country in the world and it has some of the most charming, beautiful coastal villages and towns in the world. Here are 20 of the most beautiful Coastal Villages in Italy. 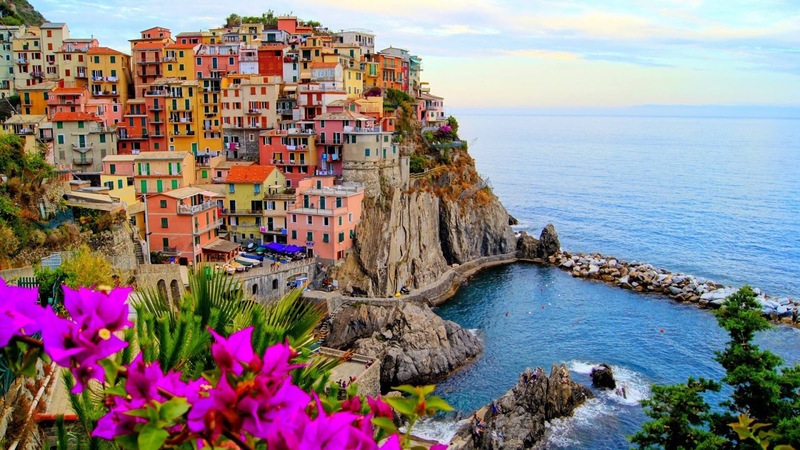 Picture perfect, colourful Manarola is the second smallest of the popular Cinque Terre towns and is famour for its vast vineyards, medieval relics, hiking trails and bright, colourful houses that are built into the hillside overlooking the sparkling blue Ligurian Sea. 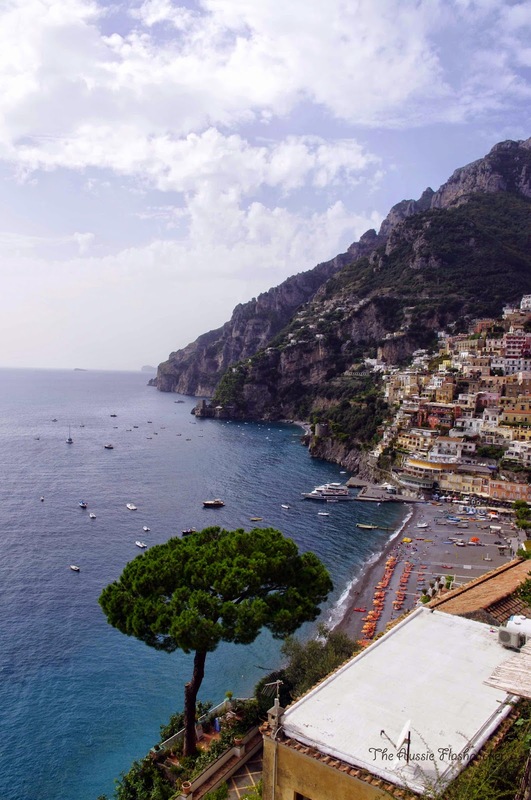 Positano is one of Italy’s most picturesque and photographed town. I fell in love when I first saw the film Under the Tuscan Sun & fell head over heels in love when we visited in October 2014. Imagine steep streets with sun-bleached houses built into the hillside, beautiful blue water, boutique shops and beachfront restaurants. It is a remarkable place. Where we stayed: Buca di Bacco. The seaside resort of Tropea is located in the south of Italy with boasting a coastline known as the Costa degli Dei (the Coast of the Gods). Beautiful coastline, dramatic cliffs, warm crystal clear waters. 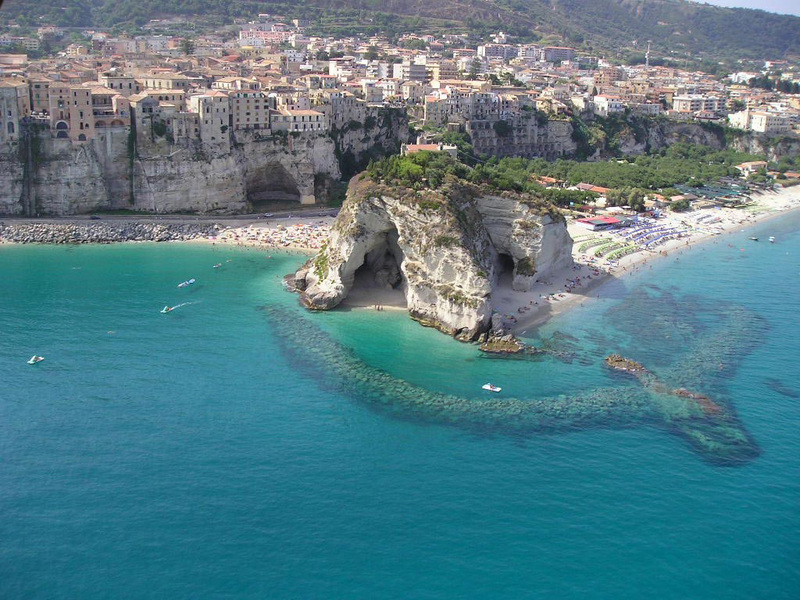 lovely palazzi and restaurants hidden around every turn you’ll fall in love with the timeless Italian feel of Tropea. 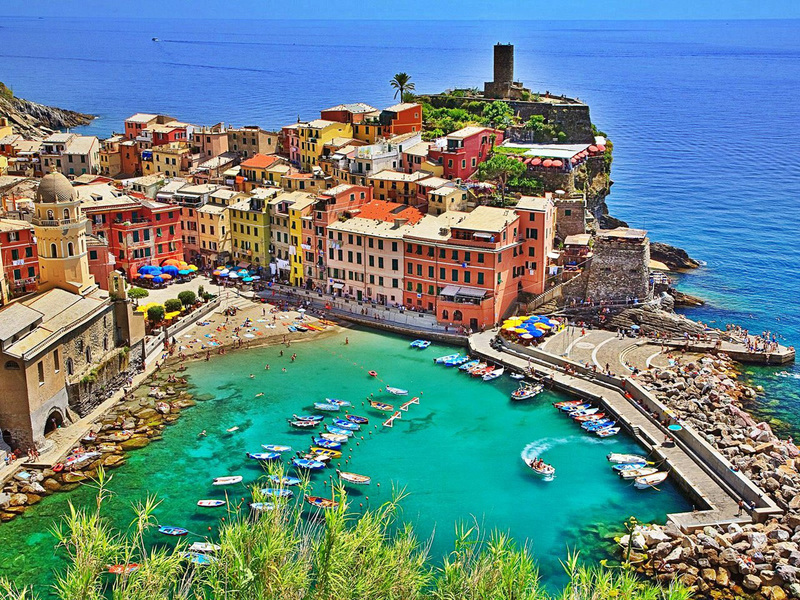 Vernazza is another one of the gorgeous villages that make up the Cinque Terre and has the only natural harbour of the five villages. This beautiful humble village of cobble stoned streets, colourful houses & fishing boats is frequented by locals who live off the sea and visitors who fall in love with its views. 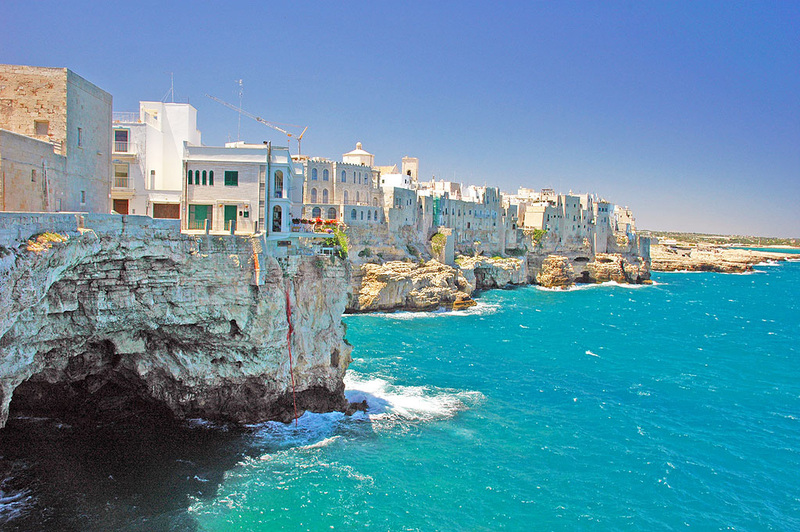 The southern region of Puglia is made up of olive groves, picture perfect sea views, small villages and sun bleached landscapes. Its location in the heel of Italy overlooks both the Adriatic and Ionian Seas and their breathtakingly turquoise and emerald waters. This region is also known for its incredible food and wine (some of Italy’s best)! 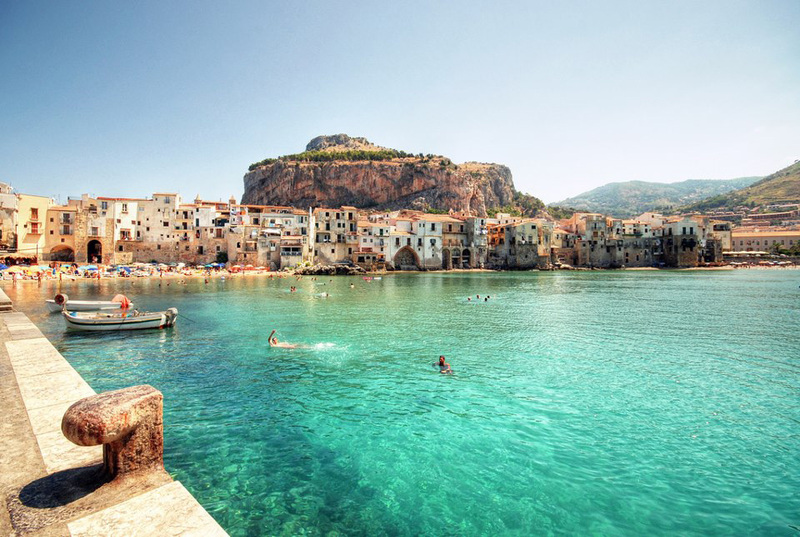 Sicily’s Cefalu is located beside the Tyrrhenian Sea, has a beautiful sandy beach, a charmful old town & is known for its beautiful sunsets. It’s sandy beach, incredible food and sunshine have helped to make it one of Italy’ most lovely seaside destinations. Monte Argentario in Tuscany is where you will find the stunning Cala Piccola, a small rocky cove with a typical pebble beach & the most beautiful aquamarine water. 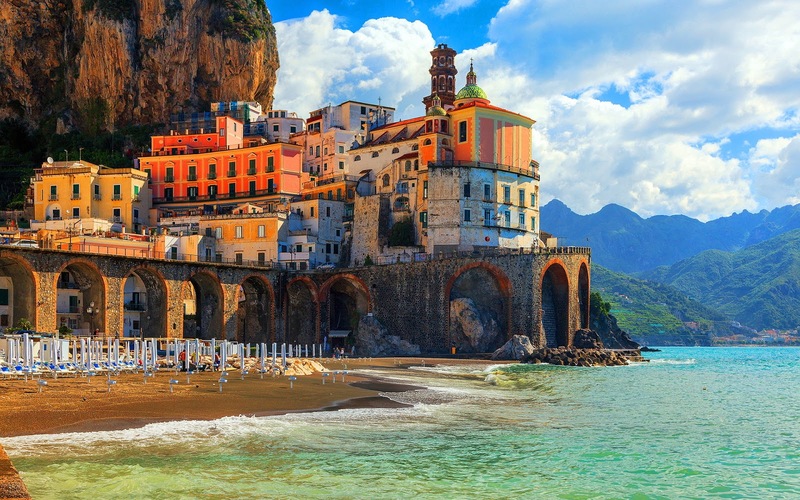 Located on the Amalfi Coast less than a km from famous Amalfi, we found Atrani even more beautiful. Atrani has a fishing village vibe and the main entrance to the town even starts on the beach! It is secluded despite its closeness to Amalfi, and its houses are intertwined with gardens, vineyards and beautiful lemon terraces. 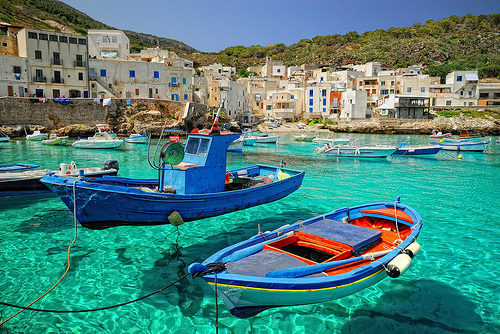 Levanzo is the smallest of the Egadi Islands just off Sicily. The island’s small port is colourful, picturesque and a population of only 200 people, you won’t have to fight to crowds to enjoy the incredible blues of the harbour. 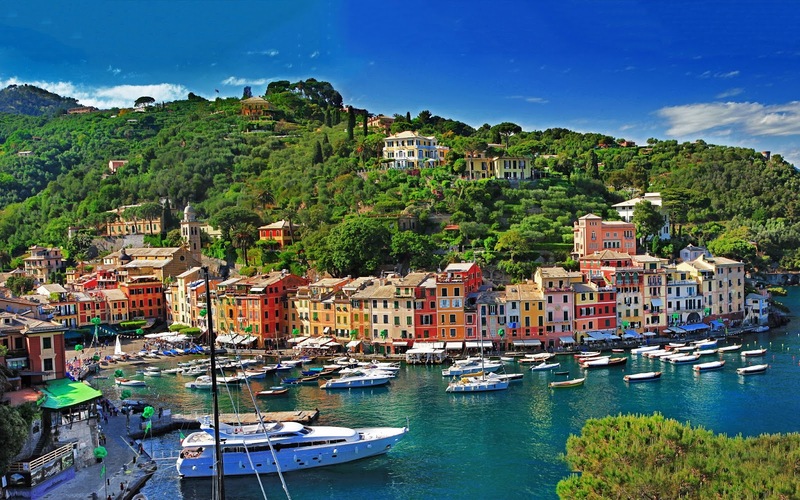 Portofino is the prettiest village on the Italian Riviera and its famous for its association with celebrities, artists, fashion & film stars who have long flocked to the fishing village and resort. 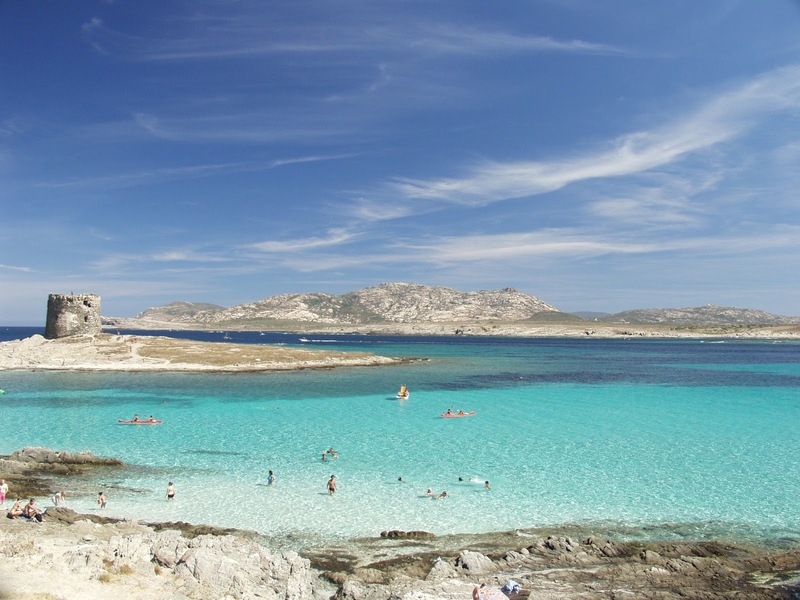 Located on Sardinia you’ll find beaches with the whitest of sands and shallow, warm waters. The local fishing families ensure that the restaurants in Stintino are known for their incredible, fresh seafood. 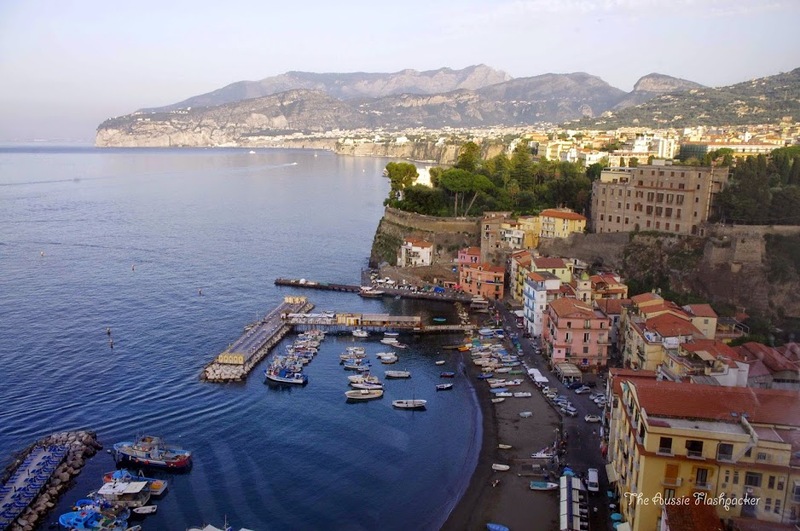 We fell in love with Sorrento’s charm the moment we arrived on a train from Pompeii. Overlooking the famous Bay of Naples and Mt Vesuvius it is perched atop cliffs and boasts the most incredible views, bustling Piazza’s and mouthwatering restaurants! Where we stayed: Maison La Minervetta. Where we ate: Il Buco. We arrived in Praiano after hiking The Sentiero degli dei (Walk of the Gods) from Positano. 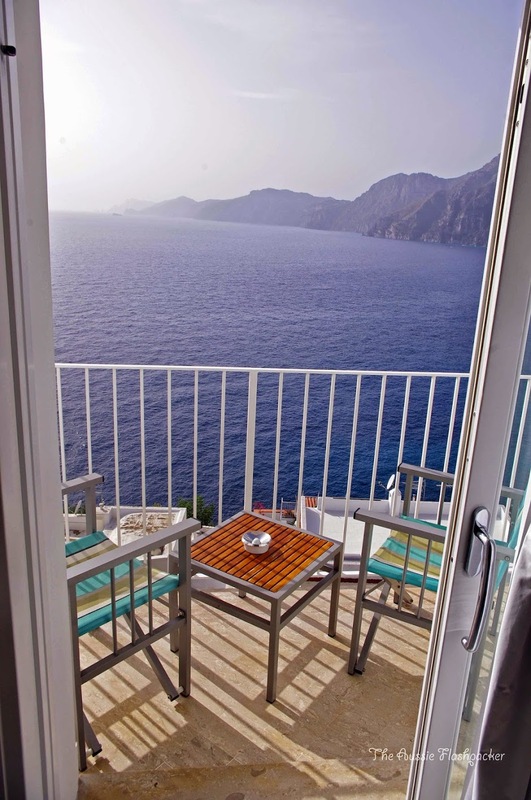 It is a low key ancient fishing village that offers the most incredible views. A lot of people skip Praiano and simply pass through it on their way from Positano to Amalfi but we loved our time here, it was a relaxing and peaceful destination where we could take in the natural beauty and vistas of the Amalfi Coast. Where we stayed: Casa Angelina Lifestyle Hotel. With breathtaking views over the Adriatic this tiny coastal village has the warmest of turquoise waters, surrounded by cliffs and ancient buildings. 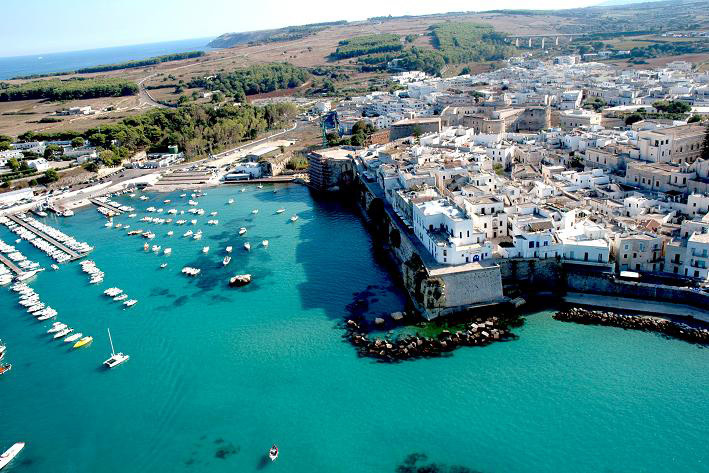 Otranto in Puglia is Italy’s eastermost town and is a historical seaside town and port. It has picture perfect blue waters, beautiful white buildings, diving rocks, sea front restaurants and a tumultuous history. Riomaggiore is the largest of the Cinque Terre towns and it is the most popular ‘postcard’ like image you see of the Cinque Terre. 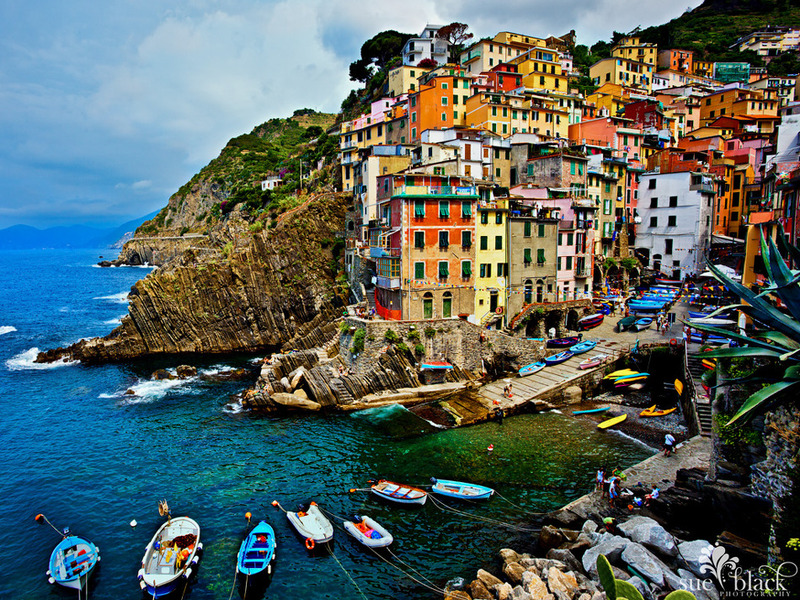 Beautiful faded, colourful towns tumble down a steep cliffside into a tiny, gorgeous harbour. 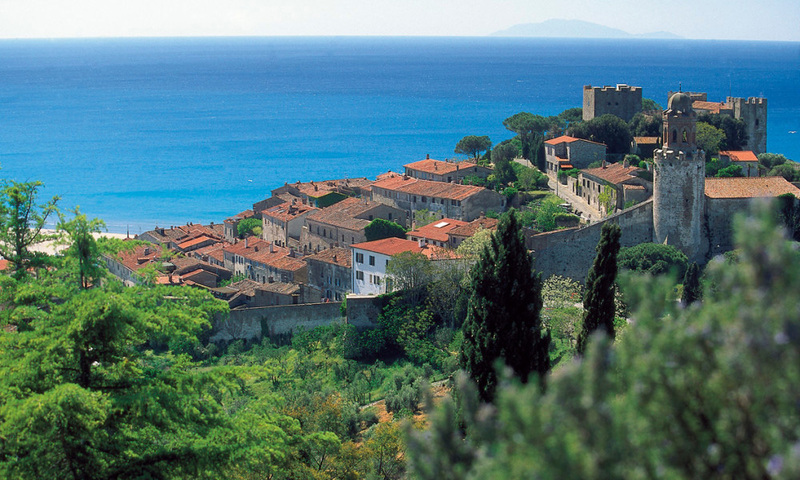 The beautiful seaside village of Castiglione della Pescaia offers the most stunning views over the Elba and Giglio islands. This town has unspoilt natural scenery & incredible food and wine. 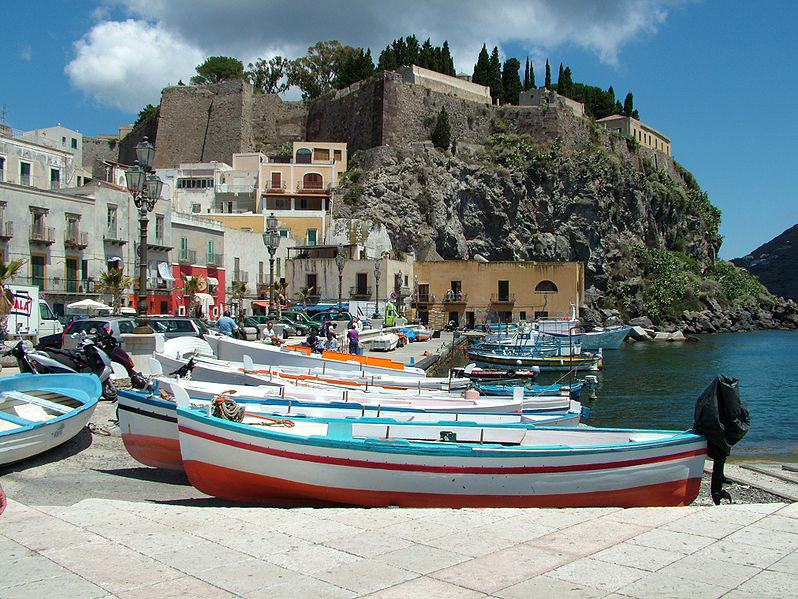 Located on Lipari, the largest of the Aeolian islands you’ll find this beautiful little port with a lovely, pastel coloured seafront and if you venture just out of town you will find dreamy blue waters, high cliffs and a breathtaking landscape. Beautiful Marciana has the best of all worlds. 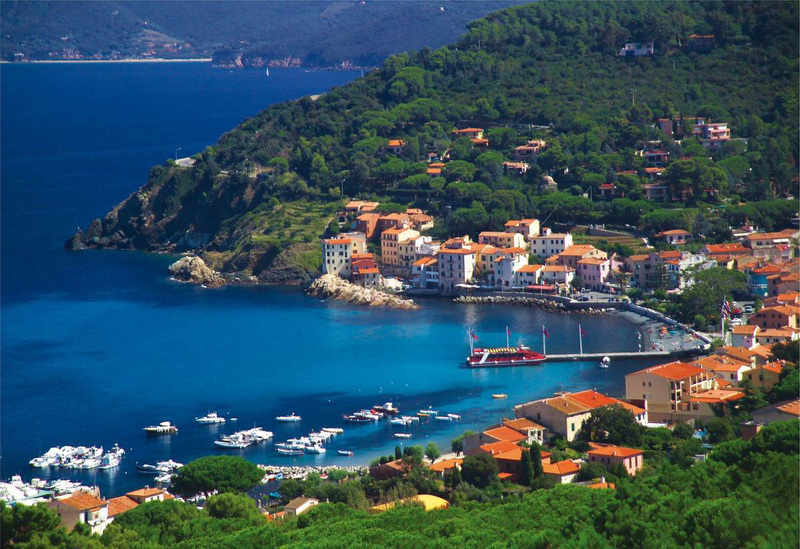 Situated on the island of Elba, it is covered with perfect vineyards and also boasts thermal water springs and beautiful beaches. 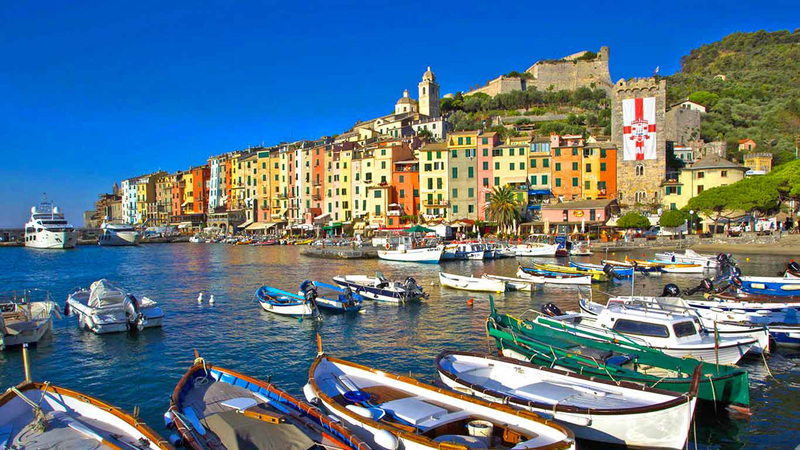 Beautiful colourful Portovenere is located just north of the Cinque Terre on the Ligurian Coast. 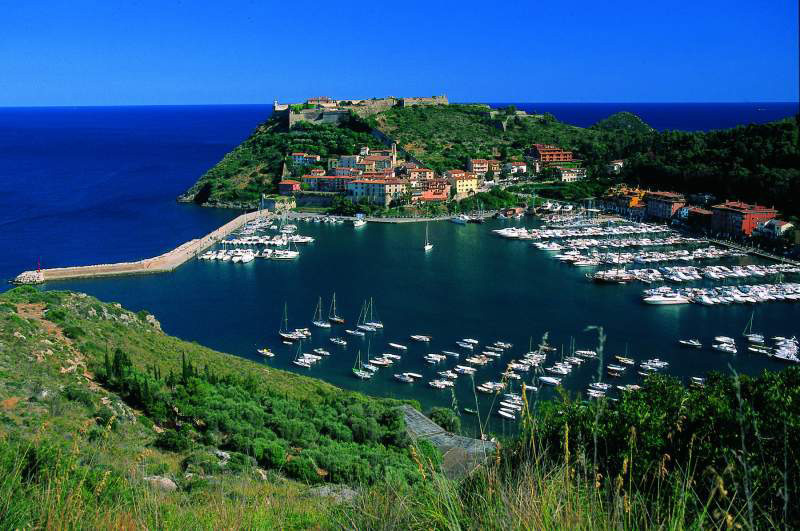 In 1997 Portovenere and the villages of Cinque Terre were designated by UNESCO as a World Heritage Site. Do you share the same love for Italy as we do? What other beautiful villages would you add to our list?